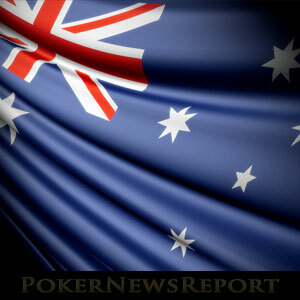 Australia´s Senate last night rejected a proposal that would prevent online poker from being banned under the new Interactive Gambling Amendment Bill. There was disappointing news for online poker players in Australia last night, when a proposal to create a carve out for online poker in the new Interactive Gambling Amendment Bill was rejected by a majority of 46-6. The Bill now returns to the House of Representatives for rubber stamping before becoming law. The implication for poker players is that, from the date the bill is enacted, online poker sites will no longer be able to legally provide a service in Australia. In January, 888Poker withdrew their services at short notice, and it is anticipated that PokerStars and Party Poker will now follow suit. 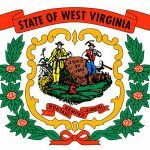 Although a scenario exists in which online poker could – at some time in the future – be legalized via a standalone bill, players are now waiting to hear how long they have until they are forced to withdraw their bankrolls and close their online poker accounts. Although players had been optimistic that Senator David Leyonhjelm´s proposal to exclude online poker and online blackjack from the Interactive Gambling Amendment Bill would be successful, its failure in the Senate did not come as much of a surprise. The original Interactive Gambling Act of 2001 prohibited any online game with an element of chance that is played for money, and although Senator Leyonhjelm argued the case for Australian poker players clearly and passionately, he could not sway members of the ruling Liberal-National coalition. The only form of online gambling that will be allowed in Australia following the passage of the Interactive Gaming Amendment Bill will be “before-the-event” sports betting, as legislators have also closed loopholes to prevent online gambling sites offering in-play betting. Last month Senator Leyonhjelm released a video in which he suggested players should get a VPN to get around the ban on online poker. 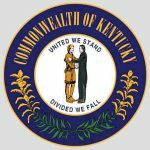 Although his comments may have been tongue-in-cheek, they were picked up by contributors to the 2+2 poker forum once the result of the Senate vote was known. However, most players who have tried this approach in ring-fenced jurisdictions – and in countries that have also prohibited online poker – have found that geolocation technology is able to determine where you are playing from once you download an online poker client. Furthermore, attempts to circumnavigate the ban on online poker in Australia will violate the terms and conditions of sites such as PokerStars, 888Poker and Party Poker. Some other offshore sites may continue to accept players from Australia, but it is not known yet which these will be. Speaking with the Australian HuffPost yesterday, Senator Leyonhjelm made his feelings clear about the online poker ban. He called the ban stupid and told the online magazine there is a great deal of poker being played in casinos around the country, so why ban it online. 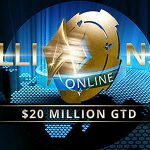 He added the ban will likely be ineffective for players determined to get a game of online poker, as they will just create accounts with offshore providers. He suggested a better solution would have been to legalise and regulate online poker to generate tax revenues and offer a robust level of player protection. Unfortunately, common sense does not rule the day when it comes to online gambling legislation (just ask most Americans) and although there may be positive news for online poker players in the long term, the short-term prospects for getting a legal game of online poker in Australia are bleak.